Krystle! 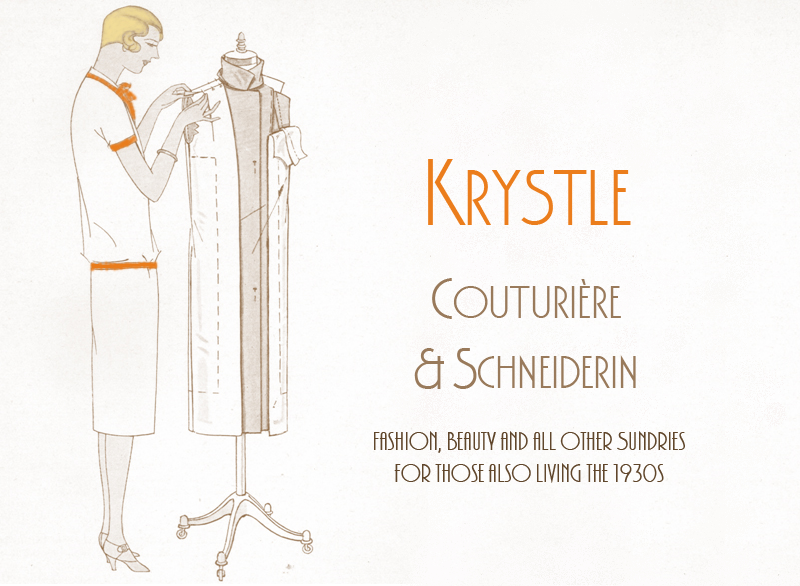 Couturiere & Schneiderin Vintage 1930s Blog! : Thelma Todds Celebration; Yet another Thelma Dress! 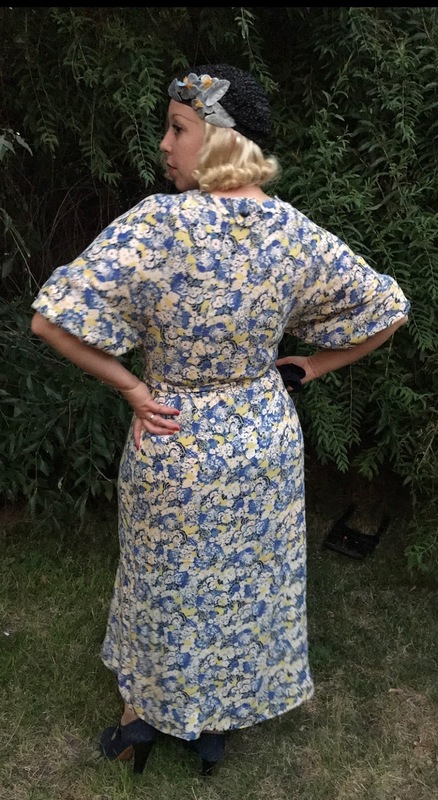 Thelma Todds Celebration; Yet another Thelma Dress! At the end of last month I celebrated Thelma Todd's birthday, which I do every year and it always winds up being an even bigger ordeal than my own July birthday. Thelma has always been at the highest position on my list of favorite actors in depression and precode era Hollywood. She starred in over 120 films and I can't recall just one that I've not enjoyed. Her natural funniness in front of the camera never gets tiring, nor her quick shot glances and gorgeous features and physique. 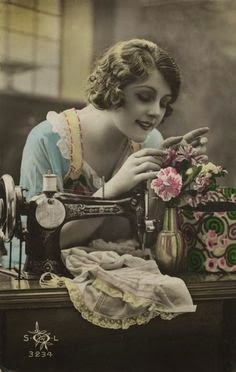 Just a couple of days before her birthday on the 29th I positively knew that I must make something to wear for the day. 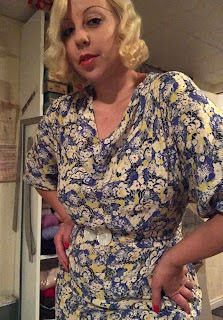 Another Thelma Todd frock, but of course! Something that epitomized her well and typified her very style. Her own fashion sense was something to shout about as well! At any rate, I turned to Thelma's short comedy films for inspiration. I thought because there are so very many of her films it was going to be a time demanding task. This wasn't the case. I had found precisely what I wanted in the very first film I turned on. The very frock for the day was in, "Bargain Of The Century," with ZaSu at her side. And Here is Thelma's own! 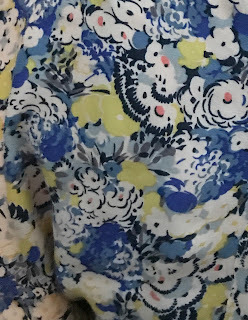 Of all the many textiles of crepes and pongees, lawns, voiles, silks and so many more I chose this floral Faille of rayon in whirls of blues and a touch of the loveliest chartreuse. It was the closest I could get to Thelma's print fabric without having to buy more. 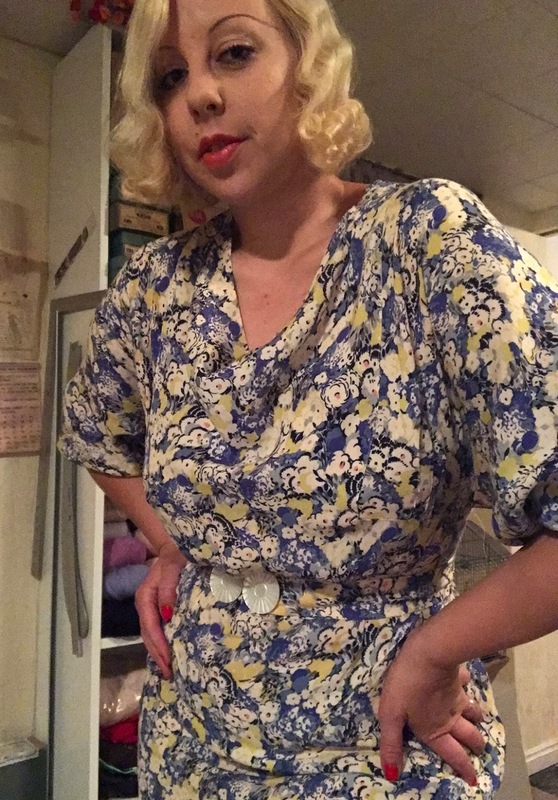 The pattern I used was this Butterick pattern I have had for years without having used it. 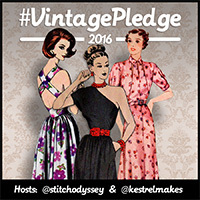 Another great reason to make the Thelma Frock! Although rather easy in construction there are some details that are worth noting. One being that it's a Dolman puffed at the wrist sleeve, isn't that so ideal! Here is a better look at the sleeve which is elasticated at the cuff of the sleeve in a casing one may have at the elbow or more up the arm for a slightly different look. The front center bodice is in one piece which ends in a point just at the level of the hips. 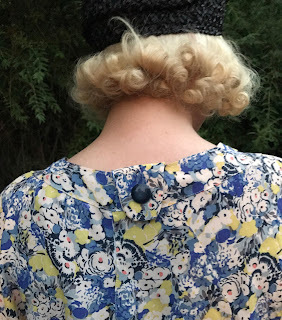 This feature is mimicked at the back where you'll see the most cunning closure; a tab that runs up the back and over the neckband to which it buttons. There is also the usual side closure. I did care to point out the cowl neckline and cowls are always elegant. In order for necks like these to drape into the perfect cowl I make dressmakers weights. I couldn't find these useful little items in shops, so for the longest time I've made them myself with just a couple of large washers. I crocheted around and around them to conceal the rough and unsightly hardware and then they're tacked just so to the center front and weighs down the cowl in the most charming of ways! By coincidence did this accompany the dress perfectly! 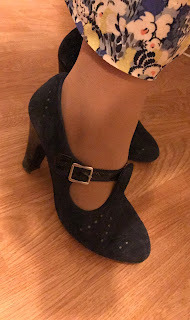 My shoes were also in black patent heels with navy blue suede. You might have seen Remix Vintage Shoes' called, Cloche. Ive owned them for years and just adore them! My stockings, new old stock right out of the box, but we won't say anything more about those! 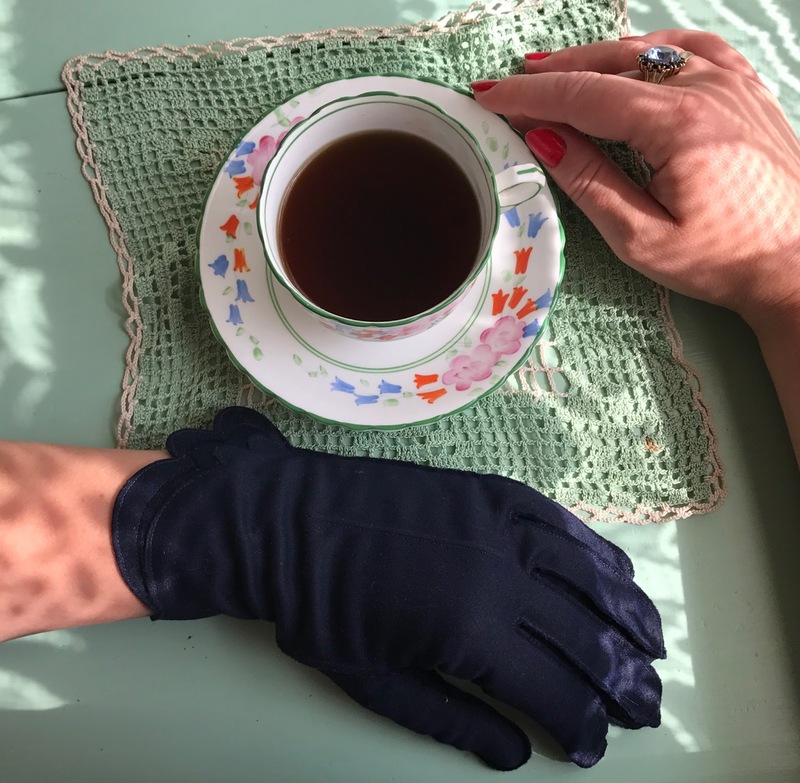 I will mention however that my new navy gloves have the duckiest scalloped feature at the cuffs and are made of a soft and thick cotton in navy with navy blue silk thread. I made them for the autumn but I couldn't help but show them off now! The last of the accessories is the self same fabric belt with the most appealing belt buckle of mother of pearl. It separates to open and remove between the circles, isn't it just so pretty! I line my belts in tailors canvas (or horse hair canvas to the moderns), for I've so very much of the stuff, and it works a charm to give it added strength. There you have it! That is what was worn to my own birthday celebration in honor of Thelma. 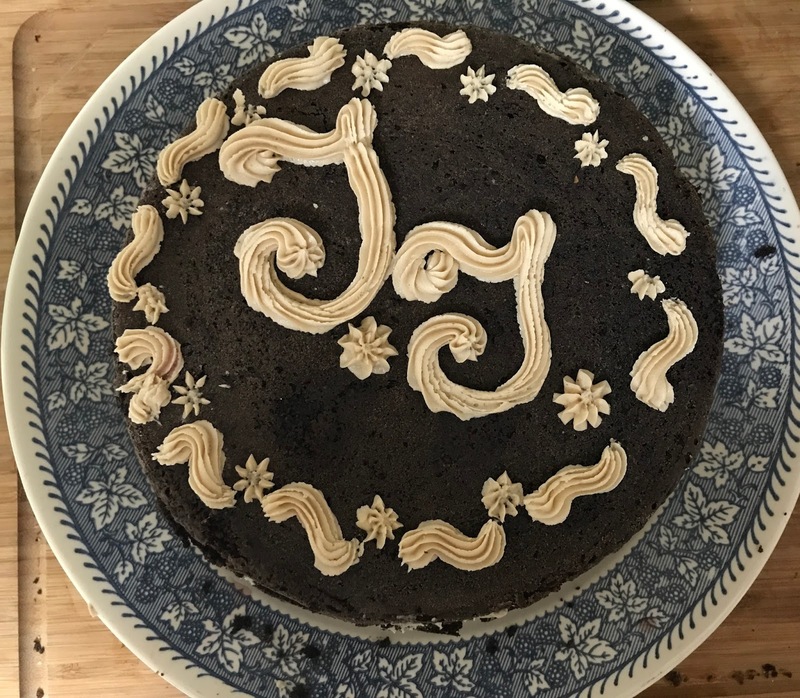 I made her favorite cake, her favorite fare of New England food, watched her films and wore what is now my favorite Thelma Ensemble! "Unless she has unlimited funds a woman must have great cleverness in the variety of her clothes." Fabulous darling! I love all the details that you put into your ensemble. Nice.